// - LA FEMME READERS - //: The Emerald Talisman by Brenda Pandos Re-Create Cover Contest! 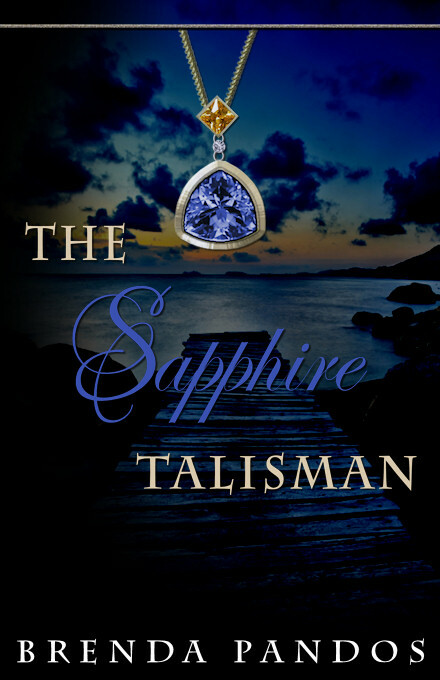 The Emerald Talisman by Brenda Pandos Re-Create Cover Contest! 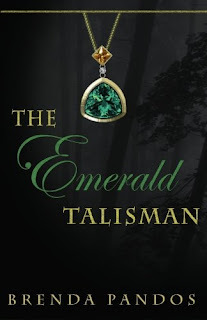 This month I've been hosting The Emerald Talisman blog/book tour. The blog tour ended this week, it went by so fast! I really want to thank every person who participated, you are all amazing! Also, the book tour is still going on and I am excited to see more lovely reviews. To celebrate the ending of a phenomenal tour, me and Brenda will be hosting a Re-create Cover Contest for The Emerald Talisman. I enjoy entering these creative contests, so I wanted to give a shout-out to Cindy at Princess Bookie for being the first to come up with the concept idea. Also, you don't have to be the greatest user of Photo Shop to enter. Everyone's efforts will be recognized and appreciated! Summary: To be normal, sixteen-year-old Julia Parker would shed her empathic gift in a second. Life has been difficult since her mother's mysterious disappearance ten years earlier - an event she witnessed, but can't remember. Julia's situation becomes more complicated after a near death experience from a blood thirsty stalker. As high school students go missing it is clear there is a connection to her own experience--past and present. Someone has to stop the madness and a chance encounter with a creepy psychic foretells that only Julia is the key to stopping the madness, but it may require the life of the one she loves. -Brenda will be choosing the best cover entry. -Anyone can join in, you don't need a blog to enter. -All cover entries MUST be linked below or else you haven't entered properly. Press 'Click here to enter' to add your link to Linky Tools. -The deadline to enter your cover link will be on September 14, 2010. -Brenda will be choosing the winner on September 16, 2010. I haven't read this book, is there any chacne I could have a general physical description of the main character? I'm speechless at the entries so far! WOW! :) Hubby is for sure going to have to help me judge. do I need to have a blog to enter this? Or can i post a link on imageshack? is it okay if my link doesn't have an email...? Since you can't really type anything on imageshack... sorry for all the questions! No problem Julie, you can ask me a billion more. You could e-mail me at lafemmereaders@yahoo.com with your e-mail so that way if you're the winner I can contact you. :) If not, I will announce it on Sept. 16, so you could always tune back then. I changed my entry. The link is still the same, but my cover is different. Just a heads up!